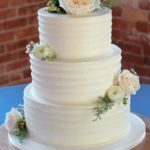 I had the pleasure of creating another peacock themed wedding cake. 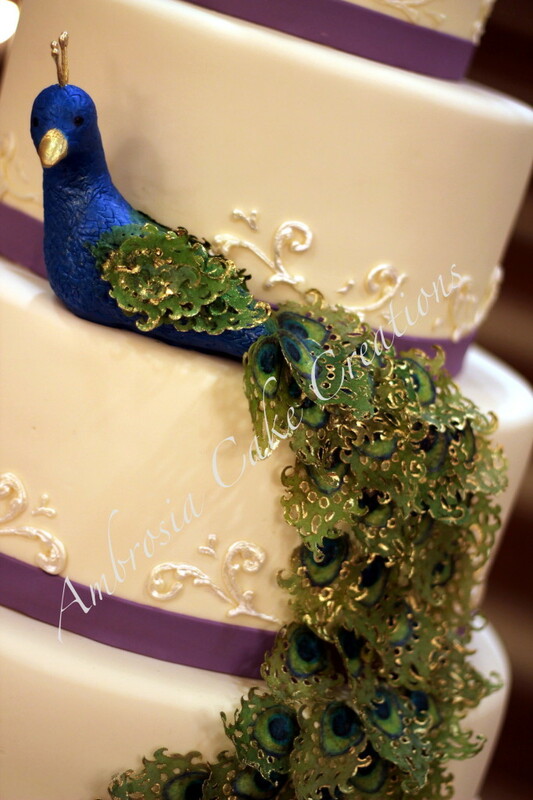 The edible peacock was placed on the second tier and had the tail feathers cascading down to the bottom tier they were also edible with edible gold painted accents. The wedding ceremony as well as reception was located at The Grand Marquise Ballroom in Garner NC near Raleigh NC. 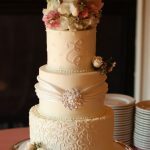 Catering by Design from Cary, NC did a fabulous job as well as Fresh Affairs Florist from Raleigh, NC. The photographer was Collazo Photography from Raleigh, NC.